The Environment Agency’s Area Director for Greater Manchester, Merseyside and Cheshire. 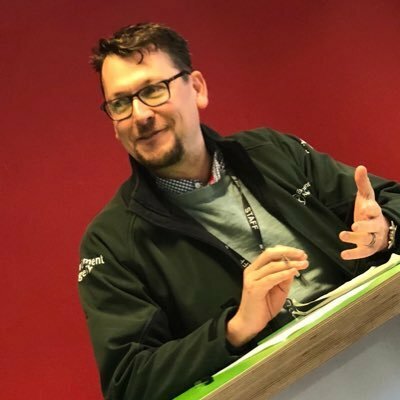 In his latest column for the Tameside Reporter, the Environment Agency’s Area Director for Greater Manchester, Merseyside and Cheshire, Lee Rawlinson talks about the cost of illegal waste dumping and discusses the ongoing issue at Gartside Farm in Droylsden. When I started writing this column back in March, I mentioned how the Environment Agency and Greater Manchester Combined Authorities were on a mission to make Greater Manchester more prosperous, greener and an even better place to live. As someone who lives and works in our region, nothing makes me prouder than to see new commitments to our local environment taking effect and brings new jobs, prosperity and most importantly, sustainability to our doorsteps. Whether it is influencing growth strategies and plans, pubs and restaurants banning plastic straws or residents taking part in a litter pick, our businesses and communities are working together to make Greater Manchester a better place to live. However, for me, and I am sure for many of our regular readers of this column, one issue is still blotting the landscape of our region and it has been on the increase since 2012. I am, of course, referring to waste crime. Illegal waste is just what the name implies…illegal. Depositing waste without following a proper duty of care can cause severe damage to the environment and local wildlife while putting communities at risk and causing absolute misery for local residents. Waste crime also diverts £1bn a year from the treasury and legitimate business. Gartside Farm and one of the great things about this column is that I can tell you that we, as the Environment Agency, are very effective at tackling waste crime and bringing offenders to justice. We adopt a polluter pays principle which means that those who cause pollution should bear the costs of managing it to prevent damage to human health or the environment and, importantly, those that profit from waste crime pay for clean up as oppose to the cost coming from our taxes. We are in continuous talks with the landowner and occupier of Gartside Farm and we are providing advice and guidance with regards to the removal of the waste. On a side note, you may have noticed vehicles and equipment going onto land at the Farm and our understanding is that this is for the purpose of carrying out preliminary works to enable removal of the waste. When our advice is ignored, and laws are broken, we will take tough action. Offenders often end up in court with large fines and the proceeds of their illegal actions are confiscated. An offender found this out recently as joint work alongside Greater Manchester Police saw a wagon that had been involved in illegal activity, cut and crushed. We are determined to make life hard for criminals and since January 2018, we have prosecuted three illegal waste sites across Greater Manchester, Merseyside and Cheshire, seized a number of vehicles and crushed one, ensuring it will never be used in illegal activity again. Waste crime is not victimless and every day we see it becoming more organised. The Environment agency has professional investigators and experts on illegal activities and as it becomes more complex, our partnerships with other enforcement bodies such as Greater Manchester Police, HMRC and Local Authorities including Tameside Council must also become stronger. You also play a key role in keeping our communities healthy. We all create waste and that means we are all responsible for what happens to it. So if you see or suspect illegal waste operations in your area, report it to our incident hotline on 0800 80 70 60 and help us win the war against waste crime.